The past couple of months I have really changed up my style. Before I wouldn't be caught dead in a black, white & grey outfit, but nowadays I love it. There are actually only a few rare days where I pull something colourful out of my wardrobe. Now this outfit really resembles my love for black, white and grey. 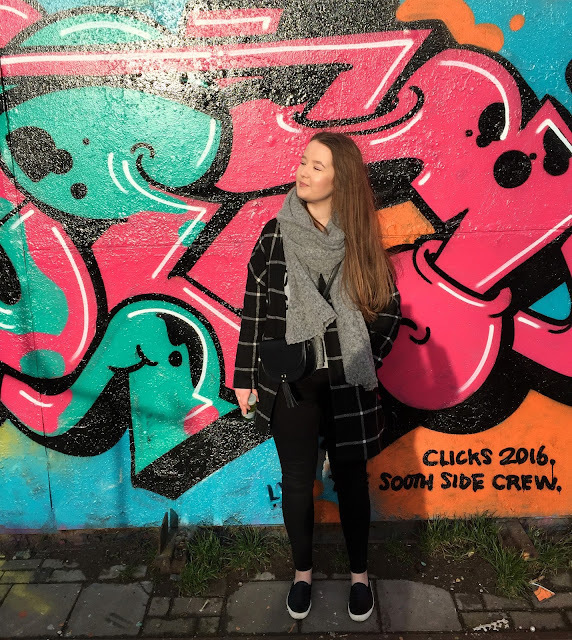 I went to a flea market in Amsterdam (more on that in a later post) and they had this amazing graffiti wall, so of course an Instagram photoshoot had to happen. Was I freezing cold in this outfit? Yes, but at least it looked nice right? What is your favourite kind of outfit?